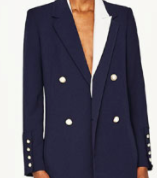 Pearls embellished on distressed denim skirt and one chic tuxedo blazer detailed with gold buttons. Sounds like a pretty powerful weekday outfit. Oh, if you’re feeling a little brave, a black & white t-shirt to say “I am casual today but I still love to look good for my job.” Of course, this OOTD doesn’t fly for every industry or profession, but if you’re in Marketing/ Advertising, Tech, and of course, Fashion, this might be appropriate, especially on Fridays. The blazer and bluchers (shoes) show a sign of respect at workplace and empowers the feminine look of a skirt with pearl embellishment, so the contrasting details of the distressed denim and t-shirt work with this look for a work week (similar blazer). 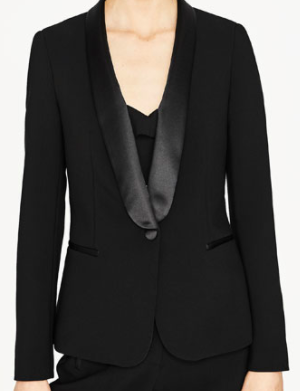 I absolutely love this skirt and blazer. 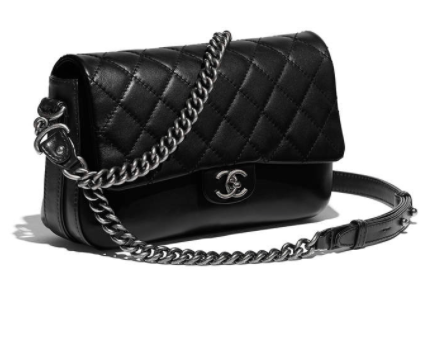 To class up my look, I opted for this glossed Chanel bag (similar here) and more affordable version here. Nothing looks more professional and classier than a classic Chanel. 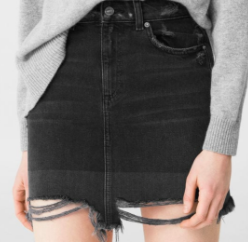 I did have to cut some part of the frayed hem skirt because it was way too distressed (with hanging fabric) on the outlining of the skirt creating a very unflattering look, so be sure to clean up the skirt if you're wearing it to work. Nothing says messy like pieces of broken hanging fabric and a work place is definitely not the place you want to be messy in. All these shots were made in Amsterdam during their Tulip Festival season! I hope that these outfit ideas are helpful and give y'all some inspiration. I always try to make sure that you can find pieces here in Belgium and Europe, so be sure to shop my gallery below for this look and other styles to recreate a similar look! JOIN MY STYLE JOURNEY AND FOLLOW MY INSTAGRAM HERE!